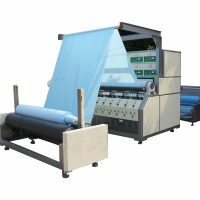 Nonwoven Cutting and Slitting Machine also known as clean cloth cutting machine/Slitting Cutting Machine. 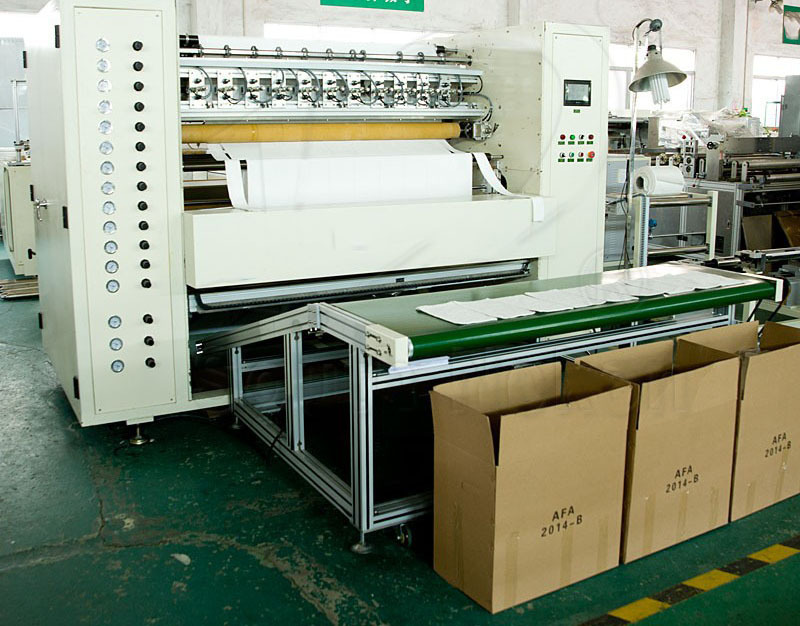 Replace the traditional cutting process to achieve automation machine, both slitting and crosscutting integration has greatly improve production efficiency, to fill the gaps in the market, one machine can replace nearly dozens of people, resolve worries for our customers. 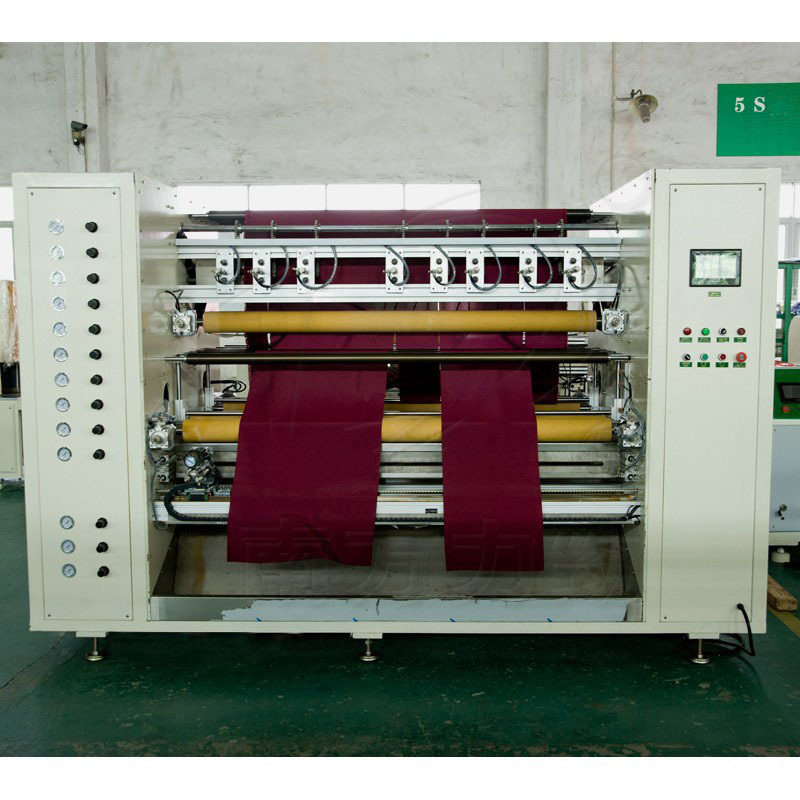 Automatic feeding, not the barrel, adding the entire material , using magnetic powder tension to control, correcting system automatic adjustment to ensure smooth feeding, cutting edge does not change color, crosscutting is not warping, slitting width length can be adjusted wilfully. 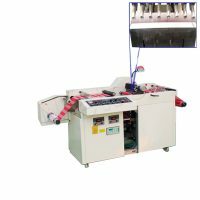 Using imported ultrasonic transducer ceramic chip from Germany, which has great power. Pull material package rubber roller uses imported rubber to produce,surface with a precision cylindrical grinding to machine, no deformation and the material is flat. 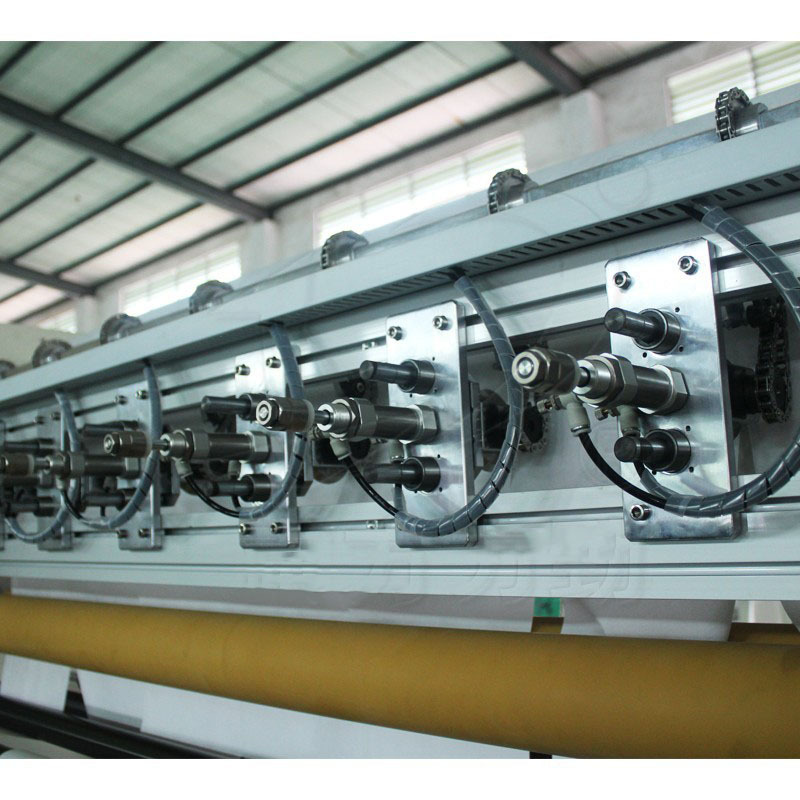 Using original SMC pneumatic components, long life, high accuracy. 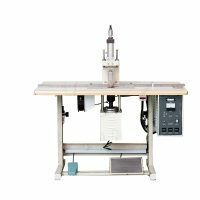 Electrical equipment used Yaskawa servo motor from Japan, fast and stable operation. 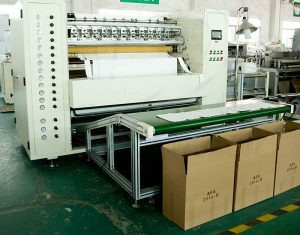 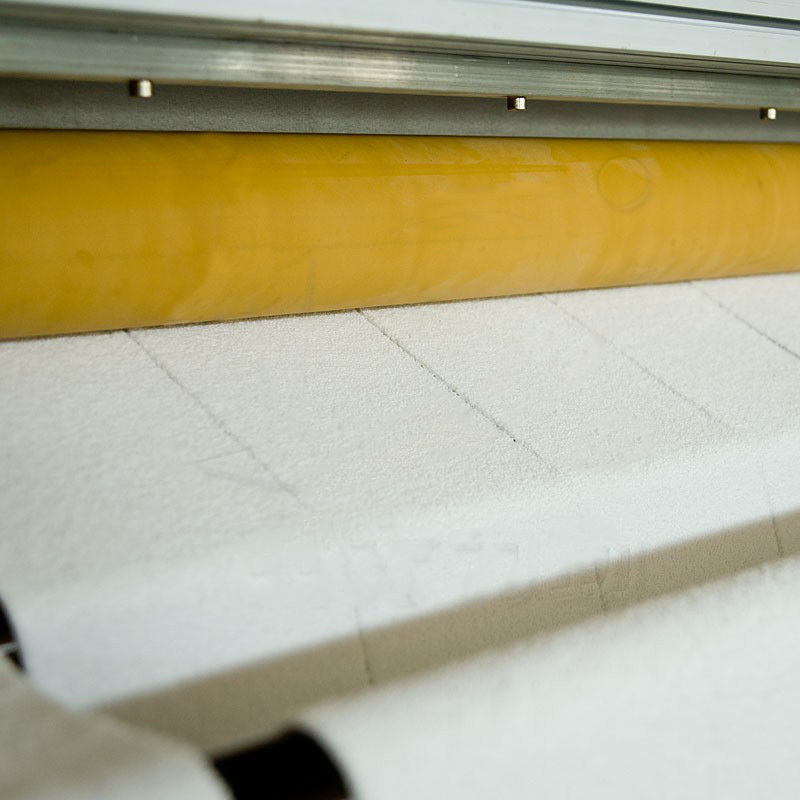 High precision cutting length, automatic feeding, computer counting, fast, length and width can be adjusted to slit. 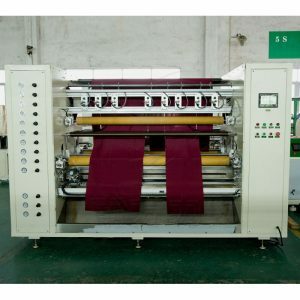 National patent technology, slitting(including rewinding), crosscutting can be run independently. 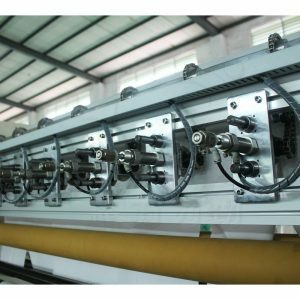 Sliding rail uses imported brand from Taiwan, no deformation and long life.